There have been two legal developments in the case of political prisoner Richard J. Wershe, Jr., who is serving a life prison term for helping the FBI prosecute drug corruption in Detroit’s political and police circles. His conviction reads possession of a controlled substance in excess of 650 grams. But his never-ending imprisonment without parole is actually about retribution from Detroit’s powerful black political establishment because he was a white informant who helped bring down people close to the late Mayor Coleman Young, a perennial survivor of numerous FBI investigations and a revered figure in some circles. One development last week is mostly cosmetic, the other is substantive but both are part of a l-o-n-g court struggle. Rick Wershe, Jr. got a bit of good news last week when WDIV-TV Channel 4 in Detroit reported it had contacted nationally known attorney Alan Dershowitz to review the Wershe story. The station quotes Dershowitz as saying this case is a terrible, terrible injustice. Well, yes, as a matter of fact, it is. Dershowitz has had some high profile clients over the years. Among them are Patty Hearst, Mike Tyson, televangelist Jim Bakker and socialite/murder suspect Claus von Bulow. Dershowitz also acted as an adviser on the O.J. Simpson defense team. Dershowitz thinks the continued imprisonment of Rick Wershe, 28 years after his first-offender conviction in a major but non-violent drug arrest, is outrageous. 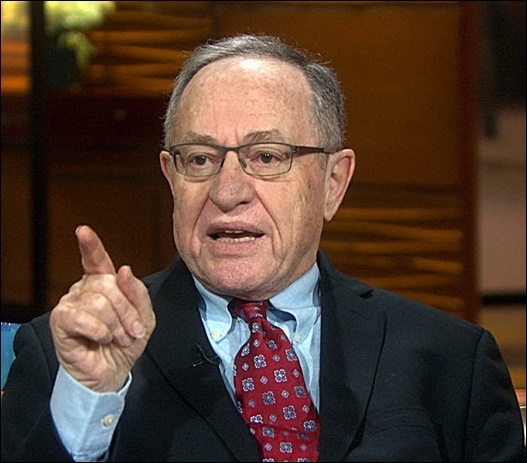 Dershowitz has offered his services to the Wershe legal team. It’s a nice gesture but frankly there isn’t much Dershowitz can do legally that isn’t already being done for Wershe. It's not known if Dershowitz is admitted to practice law in Michigan. Lawyers can't just show up in courtrooms around the country. There is a procedure they must follow to practice law in each state. But the Dershowitz expression of outrage about Wershe’s imprisonment has celebrity value. Ours is a celebrity-adoring culture and the courts are no exception. The judges and lawyers may act like having Dershowitz walk in to a courtroom is no big deal but you can be sure the atmosphere will become electrified if Dershowitz shows up in a Michigan courtroom in the Wershe matter. The newspapers and TV stations will jostle each other in the search for impressive words and phrases about the New York lawyer’s appearance in behalf of a prison inmate. His photo is guaranteed to be on Page One. This can help Wershe because it draws attention to his plight. The legal system has steadfastly refused to take a second look at the facts—or lack of them—in the legend of White Boy Rick, as Wershe has long been known. Informant America has painstakingly shown over the past year that the legend of White Boy Rick as a drug lord and drug kingpin is false and based on wild exaggerations by narcs eager to convince the public they had arrested a major figure in Detroit’s drug underworld. But in the words of Roy Grisson, one of Wershe’s regular companions before his arrest, the notion of a white teenager ruling the underworld roost and giving Godfather-like orders to hardened black dope dealers twice his age doesn’t pass the common sense test. We’re talking about street-savvy, prison-hardened black dope dealers who order contract murders on occasion. Only a naïve fool or a gullible white suburbanite would believe that a white kid who couldn’t grow a decent moustache was somehow the boss of bosses of Detroit’s crack cocaine underworld. Yet that’s the line the Detroit Police and Wayne County’s Prosecutors have peddled with straight faces for decades. Any regular reader of Informant America knows there are ample reasons to question the factual basis for Wershe’s continued imprisonment. But “the system” doesn’t want to take a second look at the facts of the Wershe case. They only want to argue about applicable law. Maybe, just maybe, if Dershowitz and Wershe’s other lawyers can find a way get the judiciary to look at the facts, or lack of them, in the Wershe case, the pretense that he is a menace to society may finally collapse. Meanwhile, Wershe’s long-time defense attorney, Ralph Musilli, filed another appeal late this past week with the federal 6th Circuit Court of Appeals, in yet another battle with a federal judge in Grand Rapids, who steadfastly refuses to consider Wershe’s argument that his Constitutional Rights have been violated by the Michigan Parole Board’s refusal to give meaningful consideration to parole for the state’s longest-serving drug inmate who was convicted as a juvenile. The Parole Board has released all the other prisoners convicted in non-violent drug cases as juveniles, but not Rick Wershe. The Parole Board has been “flopping” Wershe every five years by simply stating the board has “no interest” in considering him for parole. This, despite the fact that corrections officials in the prison where Wershe is incarcerated say he could qualify as a “model” prisoner if there were such a thing. Musilli’s latest appeal calls for oral arguments in the Wershe case; something U.S. District Court judge Gordon Quist in Grand Rapids has refused to even consider any of the fact issues in the Wershe case. The case is in a Grand Rapids federal court because Wershe is housed in a state prison on the western side of the state, within the jurisdiction of the federal courts in Grand Rapids. If Musilli can persuade the federal court of appeals in Cincinnati that they should order oral arguments in the Wershe case that may finally present an opportunity to challenge the factual basis for Wershe’s continued incarceration. If Musilli gets what is known as discovery, watch out. A lot of self-righteous law-and-order people will be shown for what they really are. It won’t be pretty but the “system” may at last be forced to do the right thing for Rick Wershe.